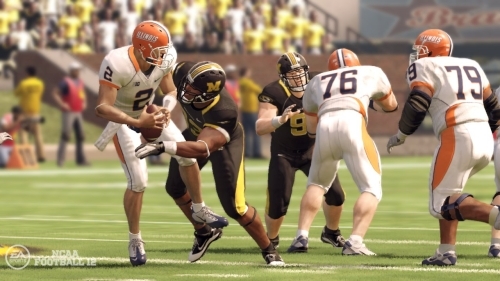 EA Sports announced earlier today that next patch for NCAA Football 12, which will address at least the no-huddle issue introduced in the last patch, has cleared internal certification and is now in the hands of Microsoft and Sony. In general the expectation at this point in the process would be for approval and going live in the next two weeks. It is unclear if what, if any, other changes are being introduced in the aforementioned patch. Unfortunately the time it has taken to develop and deliver the patches has been lengthy – the first occurring after the release of Madden NFL 12 and the second now coming after NHL 12, FIFA 12, and NBA 2K12′s arrival. The game released with a long list of serious issues and many consumers grew frustrated not just with the release product but having to wait around for advertised features to work properly. With so many other choices on the market many have probably moved on by this point but that doesn’t negate the need for EA to get the fixes out there. Another season is upon us and the countdown begins. Over the next 90 days you’ll be hearing about everything we’ve put into NCAA Football 12 and we hope you’ll like what you’re going to see. It represents months of deep development and the next serious step in innovation that we initiated last year with NCAA Football 11. I have no major announcements today, but I can say that our focus and fundamental strategy hasn’t changed. It’s still all about the three key elements I described in my blog last year “A New Game Plan”; Core Experience, Authenticity, and Innovation.